A fantastic personalised stainless steel multifunctional pocket tool with space for your personalised message. 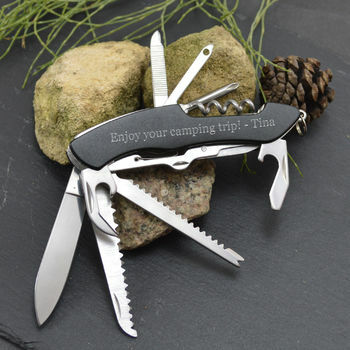 An engraved multi-functional pocket penknife made from stainless steel with eleven tools including a bottle opener, screwdriver, scissors, a nail file and different penknives and an awl. 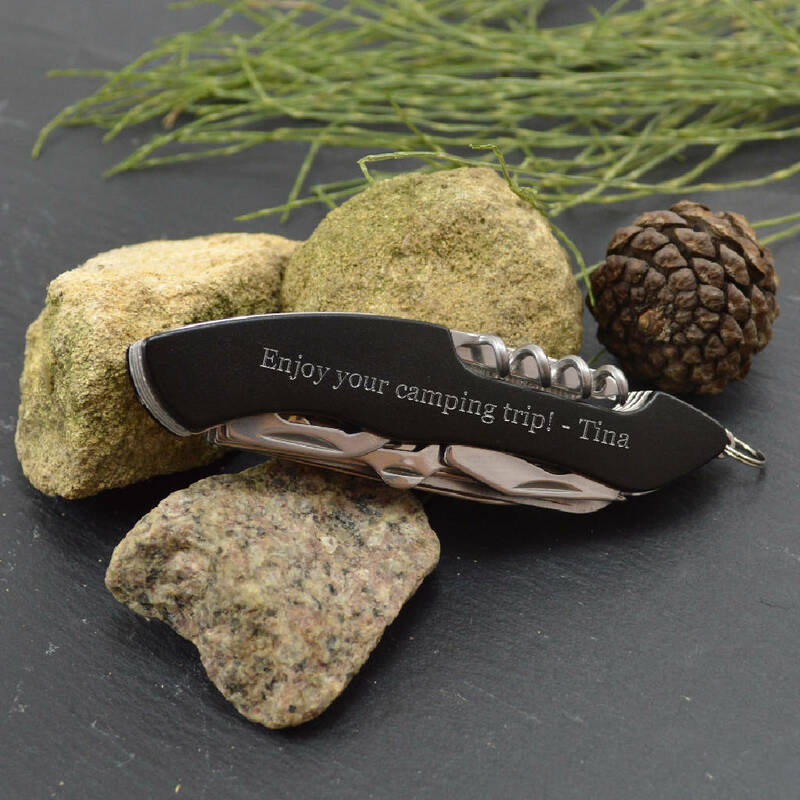 A great personalised gift for camping or a DIY enthusiast. Your engraved pocket tool can have your message of up to 34 characters including spaces. All of our personalised gifts for men are engraved in house so if you have any questions or special requirements then please get in touch and we will be happy to help. Why not also purchase a greetings card for a little extra to advise the gift recipient who the personalised pocket tool is from? If you wish to choose this option, a bespoke, full colour, standard A5 sized card, folded in half and printed with your message on one of the inner sides can be chosen in the personalisation fields. The unisex greetings card will be sent in a white envelope with your gift. Premium coated plastic and stainless steel. Pocket tool closed 95 x 25 x 14 mm.